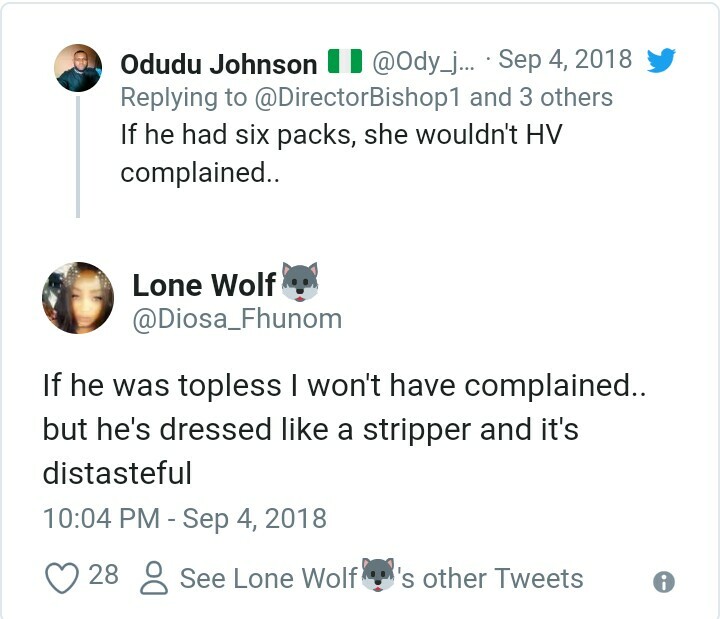 Gone are those days where one can wear literally anything that comes to the mind and go Scot free, in this 21st century you dare not put on anything especially when you're a celebrity. He was spotted wearing an interesting looking navy blue tank top tucked into a pair of green jeans that were ripped at the knees, held at the waist with a brown leather belt with a lion head buckle, and finally, he paired the whole look with red sneakers, probably to match the red lines on his jeans and on his tank top. He also complemented his look with a red cap embellished with a skull, and blue eye glasses. 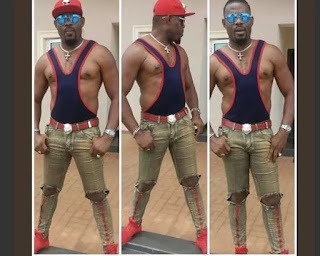 Some bad Belle people even likened him as a stripper and we are eager to know what you think about this distasteful Apparel.